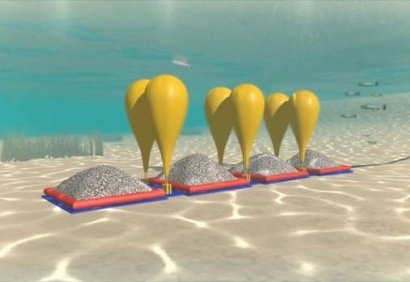 The world’s first underwater compressed air energy storage system is up and running and is claimed to be one of the cheapest forms of energy storage available. Hydrostor Inc. has developed an energy storage solution that addresses intermittent (solar & wind), load balancing, reserve capacity, and peak-shaving. It has invented a pressurized underwater balloon system that can store renewable energy. 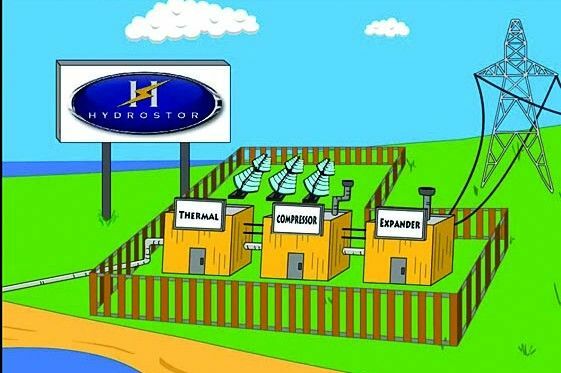 Hydrostor has announced on November 18, 2015 - the activation of the world’s first underwater compressed air energy storage system. Apart from pumped hydro and cavernbased compressed air storage (which have few applicable sites), Hydrostor’s storage solution is the lowest cost energy storage solution available. The Hydrostor system is located in Toronto, Canada’s largest city, and includes underwater air storage located 2.5 km offshore in Lake Ontario, as well as a mechanical facility located on Toronto Island, said press release. The system uses electricity to compress air in a building on Toronto Island, just off the city’s downtown. The air is then pumped through a pipe into six large balloons anchored on the lake bed about three kilometres offshore, 60 metres below the surface. The weight of water keeps the balloons pressurized. To convert the stored energy back to electricity, the pressurized air returns to the surface, where it runs a generator. The idea is that electricity can be stored at off-peak times when power is cheap, then retrieved when power is more expensive, or when a failure disrupts the power transmission system. Traditional energy sources, like gas and diesel, are often needed at peak energy times or to supplement renewable power sources, such as wind and solar when they do not generate energy, for instance, at night or when there is no wind. However, this new solution could make it so that the stored renewable power could reduce the requirement of conventional and less green energy sources when additional power is needed. The energy storage system has the potential to be highly efficient, flexible and take up only a small amount of land space.